NOTES: Chara is the 22nd defenceman in NHL history to score 200 goals. ... Bruins D Connor Clifton recorded his first NHL point on Acciari's goal. ... Marchand has 20 points (eight goals, 12 assists) in his past 13 games. ... 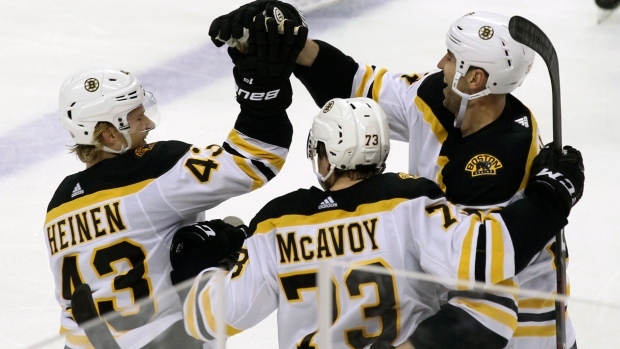 The Bruins reached 100 points for the second straight season. ... Panthers D Keith Yandle played his 900th NHL game.